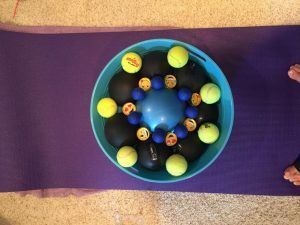 “Have a Ball” Yoga Therapy Clinic! Cost: early bird price $35 by 6/25 — $40 after. Space is limited.